MoMineral Group, a makeup brand with women of color in mind. Omolara Tayo-Sobajo graduated with a degree in Microbiology and an MBA. However, she worked as a freelance makeup artist for over 8 years. There, she realized her calling and saw the shortcoming of major makeup brand. They failed to meet the needs of women of color. As an avid advocate for ‘many shades of beauty’, Omolara decided to fill this void with a product that is specific to Africans and Carribeans. Using her educational background and love for makeup, she launched t the MoMineral Make-Up brand with her husband, Tayo Sobajo, in 2015. Very few makeup brands have shades of foundation for dark skin women; even these ones are limiteid. Unfortunately, these brands (we won’t give out names) leave our skin looking sort of “ashy” and dry. Also, the composition of some makeup products are not always healthy for melanin-rich skin. 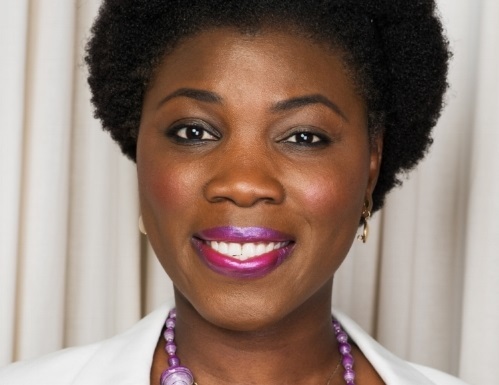 “MoMineral Makeup was created to provide African and Caribbean women with more choice when it comes to makeup products and our products are formulated from natural ingredients.” – Omolara Tayo Sobajo. MoMineral products are made in UK; they are “regulated and certified by the highest cosmetics standard to provide the dark skin with healthy makeup products. Despite the complex nature of overtone and undertone seen mostly in the melanin pigment of dark skin, MoMineral Makeup has an answer. There are plenty of choices – various shades and tones for our women. • Lightweight, does not block skin pore, allows the skin to breathe (non-comedogenic). • Contains natural SPF 20 sunscreen protection. • Dermatologically approved and suitable for post cosmetic procedures. • Halal friendly except for mascara which contains alcohol. • Complies with the EU Cosmetics Safety Regulations. • Made in the United Kingdom. • Mineral oil associated with clogging of skin pores. • Synthetic minerals such as Bismuth Oxychloride – a bye product of lead and copper refinery which is a common skin irritant. • Harmful chemicals, sensitizers such as perfumes/ dye. • Preservatives, Talc and Nanoparticle minerals. Previous ArticleNew Book, “Fake Break Recreate” Released by Rachael Aminu is Uncoventional!